Last year we moved my oldest to her first year of college. With all our moving experience gained from 20+ moves, I had a few tricks up my sleeve to make the move a bit easier. It was still emotional, but the actual packing and moving was no problem. 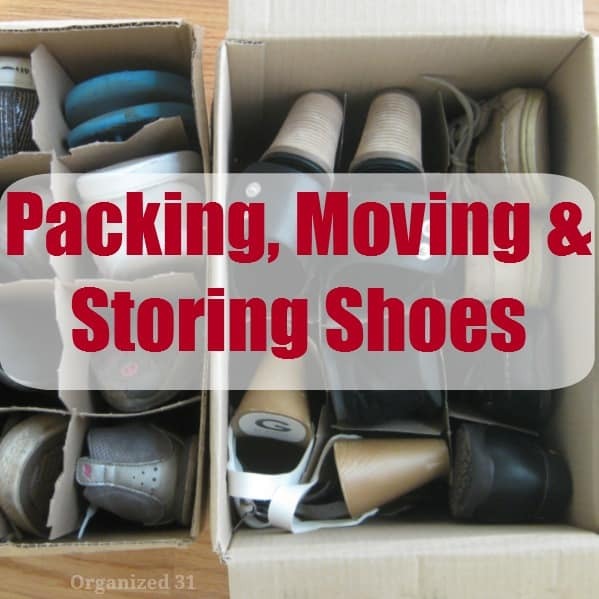 One of the tricks that most impressed my daughter was my trick for packing, moving and storing shoes and it’s oh so easy and free! 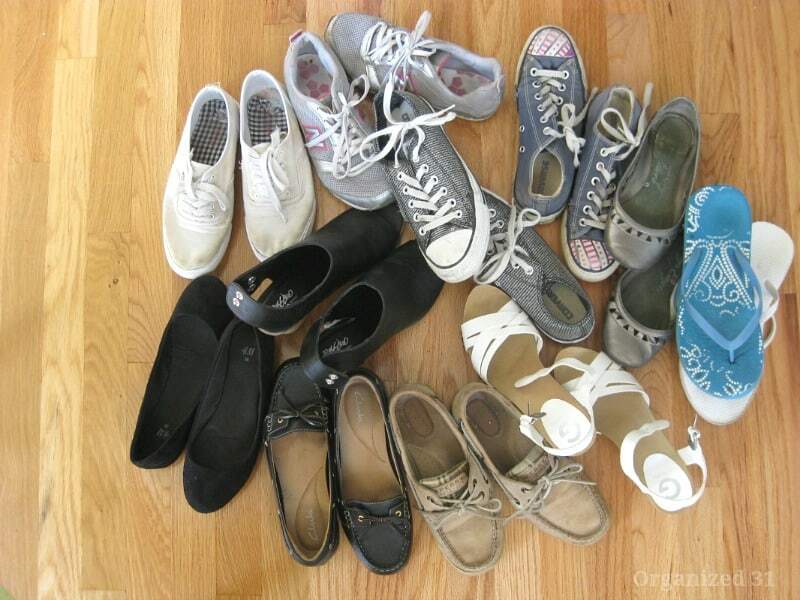 Wondering how to pack shoes for moving and this mama’s trick? A quick trip to Costco and a couple of wine boxes. Look for the ones with dividers for bottles. Yes, these really is a free tip to pack shoes for a move and storing shoes. Simply slip a shoe into each section and you’re done. How easy is that? If it wasn’t just the best way to pack shoes for moving, I’d be embarrassed at how easy it is. If you’ve got shoes with high heels, you can slip the heel over the divider and use 2 sections for those shoes. You can also bend the divider to make the section a bit larger. My daughter has even decided that it’s a great way for storing her shoes in these boxes. 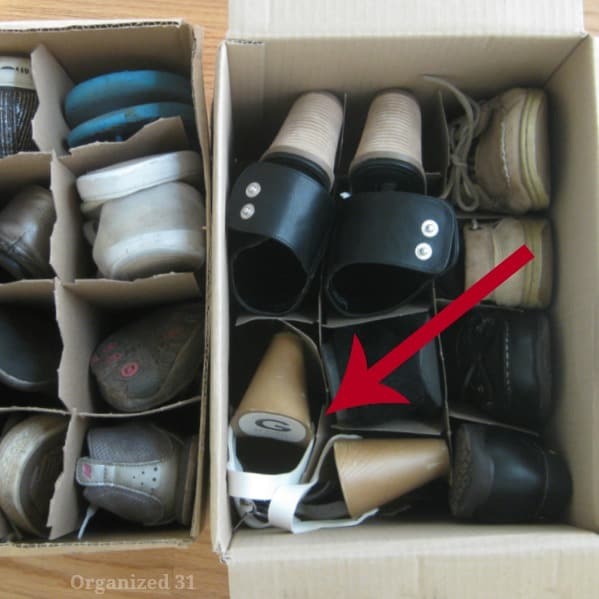 The shoes are neatly contained and she can quickly grab just the pair of shoes that she wants. Update – She’s stored her shoes in her dorm closet in these boxes for four years now, so it must really work. If you’d prefer to purchase shoe storage boxes, these shoe storage boxes would be helpful for both moving and storage. Susan, I am so sorry that I didn’t know you when my daughter went to college. She had bags full of shoes and they were always a mess in her little closet at school. This is such a great idea and it was free! That rocks. I will pass this on to my daughter because she still has a ton of shoes and little space to store them (many are at my house). Great idea. Thanks, Bernice. Happy (and uneventful) moving wishes! Thank you so much for this neat idea.. 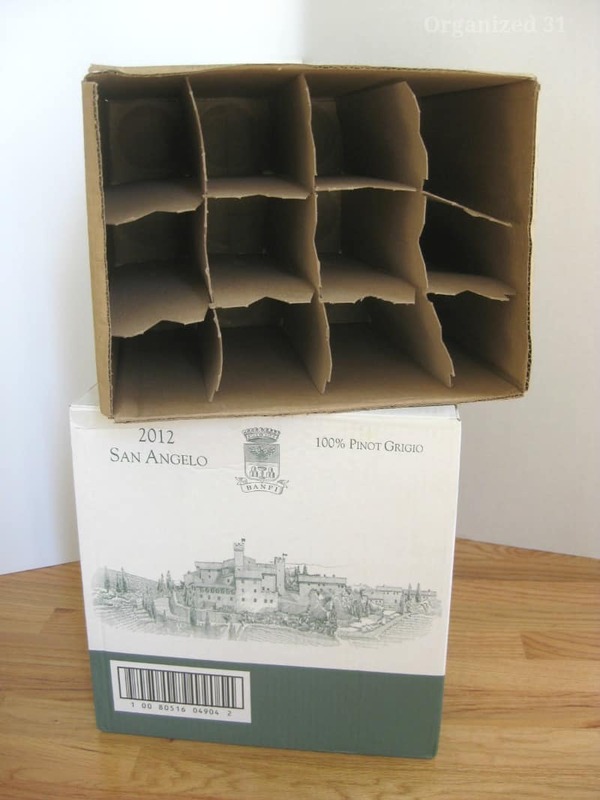 I never would have thought to use wine boxes! Very helpful..Happy Mothers Day! I’m all about repurposing and saving money (oh, and organizing 🙂 ), Mauri. Thank you, I hope you had a wonderful weekend, too. Boxes are very useful for moving. 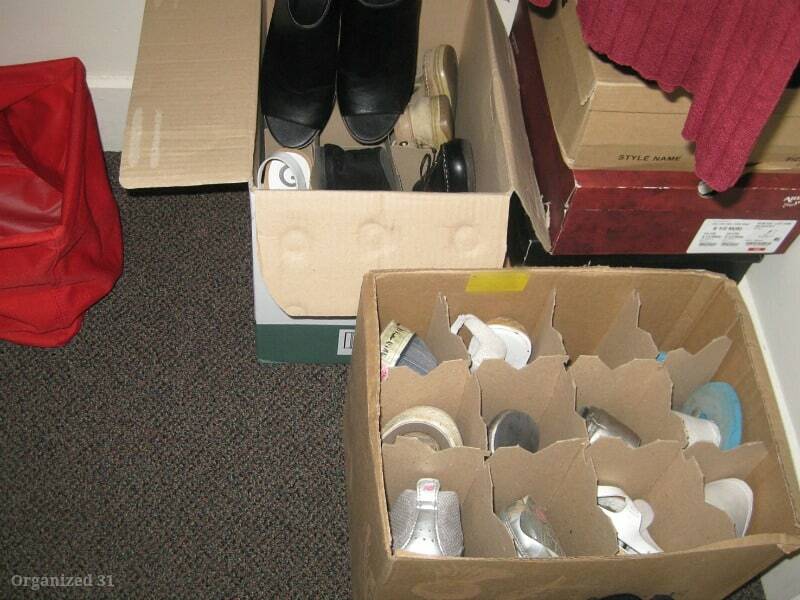 I read your blog and i get the some great ideas about moving shoes. Very helpful blog. Thanks! Excellent storing hacks. I am really happy with your ideas for shoes storing. Normally some people use shoe boxes but use shoe boxes is use someplace. 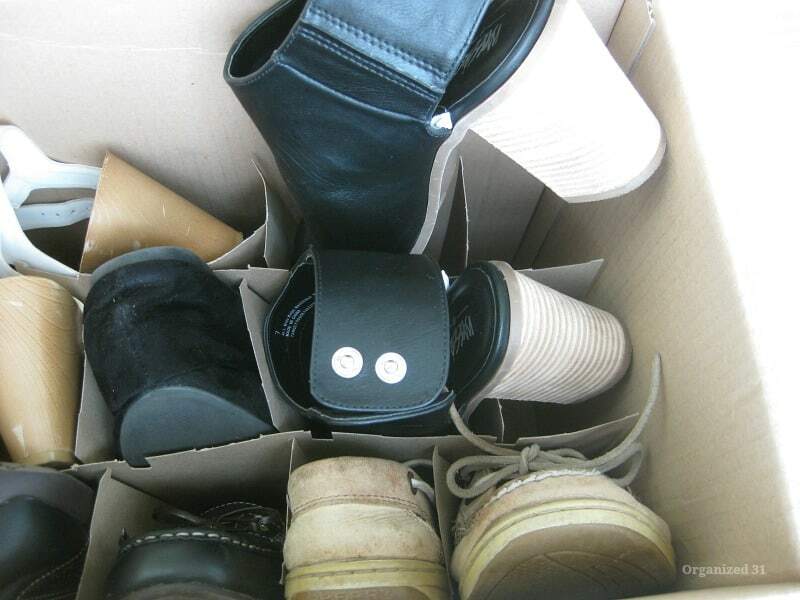 This idea is awesome all shoes and sandals in one box. Great, I like your blog and your idea. Thanks a lot for this beauty Enjoying article with me. I appreciate it very much!